I was wrapping up a gift yesterday, and I wanted to give it an extra-special touch. 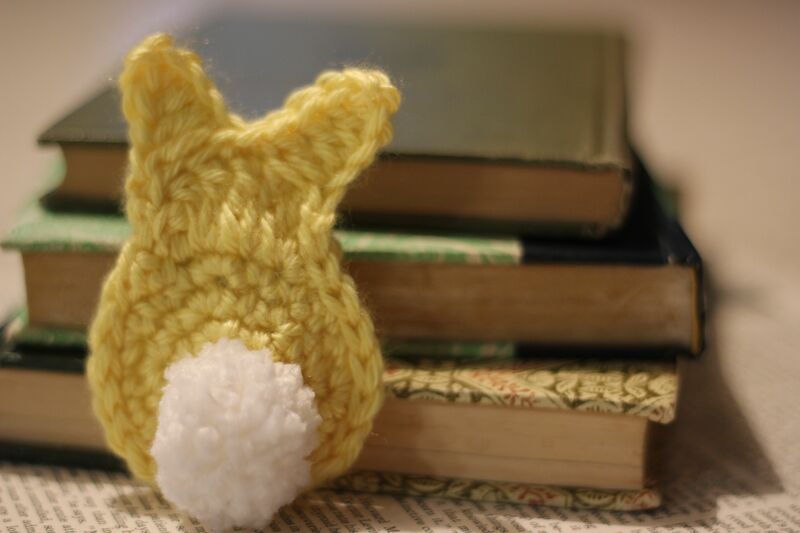 Lucky me, I found this free pattern and whipped up this sweet little bunny to give it some Easter flair. It worked up quickly and was super easy! I used Caron Simply Soft yarn and a size I crochet hook. I think I will make more in pink, green and white. Won’t that be festive? The pattern came from Love the Bluebird but I changed the tail and used the tutorial from Vivid Please. Happy Easter and Happy Stitching!